Behind the Name – This website with names from all over the world gives you the origin and information about the name. Very interesting! WW2 Alien Enemy Control Program-This PDF file from the Department of Justice concerning the Italian Internment camps from WW2 is quite interesting and provides lists of detainees and lists of fisherman and railroad workers who were only allowed to work in certain areas. More information can be found at Wikipedia, National Archives. Chiesa Cattolica Italiana (Italian Catholic Church) – This website is all in Italian but with a little patience you can follow the links to a list of diocese and parishes, including phone numbers and addresses. Start at the top picture toolbar. Jews in Sicily – A history of the Jews in Sicily by Dr. Gaetano Cipolla. It is written in both English and Sicilian, which is fun for learning the language. John D. Calandra Italian American Institute – This website has a community calendar of Italian American events for the New York area as well as links for having an Italian holiday (like Thanksgiving Italian Style) and includes ways to teach your children about their Italian heritage with fun games and crafts. It also has a link for information about restrictions to Italians during WW2, Italian Radio Programs, and more. Check it out! Italian Cultural Institute of New York – Lots of cool information here and includes a list of events in the New York area relating to all things Italian. Links to Italian Cultural Organizations – This site provides a group of links to different organizations like the Sons of Italy, UNICO and the National Italian-American Foundation. 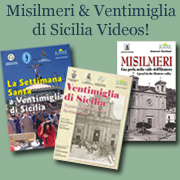 Grifasi’s Sicilian Almanac – This website has wonderful information about cultural information regarding Sicily. For instance, history, proverbs, art and literature, and more. Very interesting information.